Short answer: I'm educated on the quality of ingredients and the value I am getting. That's the truth. 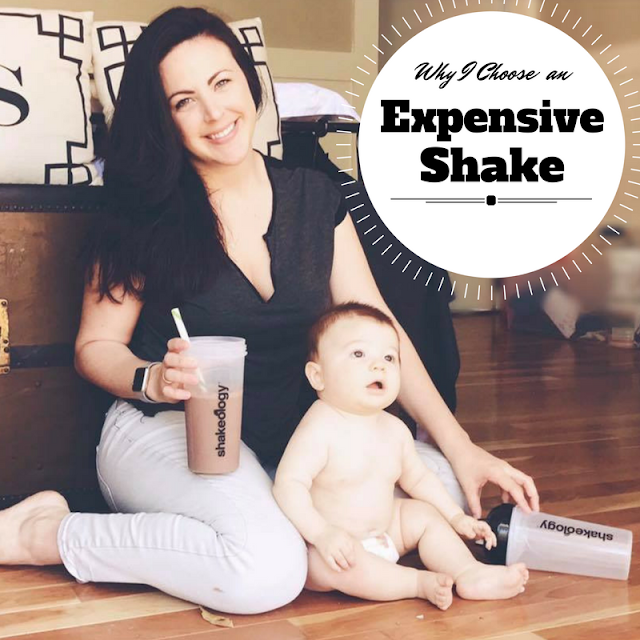 Despite popular belief, Shakeology is not at all a protein shake. Like not even a little bit. It's a whole health shake. ✖️There is a quality assurance team that travels literally to the ends of the earth to source superfoods ingredients and herbs for the highest quality. ✖️I hate taking vitamins. I get 23 vitamins and minerals in a glass. ✖️I am nutrient deficient. Not just in protein but in many areas and it fills the gaps in my micros and macros. ✖️I totally get stressed out sometimes and the adaptogens from the ingredients in Shakeology such as Maca root and Ashawagandha, help me adapt and deal with stress. ✖️Ya there is minimal natural sugar in it and I actually like that. Why? Because if other shakes claim to not have sugar and taste delicious then guess what, there are junk and fillers replacing that sugar. I'm not afraid of sugar but I am of chemicals people put in my food. ✖️I have a chocolate addiction like no other and this helps curve my cravings. ✖️ It actually tastes really good - seriously. It's also super versatile so I can change it up when I feel like it. I never do though, I love my Reese's shake. ✖️The superfood and quality I am getting is unmatched from the vitamins to the way it is processed down to Shakeology form. ✖️I save on my skin and hair care, because I don't need fancy creams on my skin or hair when I am feeding it from within. Nutrition of the outside starts on the inside. ✖️Shakeology repairs my muscles after hard workouts. ✖️Getting all these vitamins and nutrients a day on my own would be $1200+ a month. Not to mention I would have to source them all. ✖️I am serious about the quality of my health and I choose a product and represent the same product that is also serious about the quality of my health. ✖️I have seen it change lives. Helped my best friend lose 60 pounds, many of my challengers have finally lowered their cholesterol/blood pressure numbers and many women I have worked with now have time to not just drink Starbucks for breakfast. ➡️So I choose to spend $3.83 a day for all of that. Oh and it's my lunch or breakfast most days and I have replaced my $4.50 Starbucks latte addiction with it.